Source – my own treasured copy which was keenly anticipated! For an avid reader nothing quite compares with that thrill you get when you open the pages of a favourite writer’s latest novel. 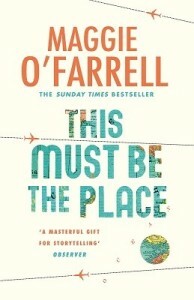 Even seeing glowing advance reviews does nothing to temper that underlying apprehension that this one might not tick all the boxes but you would think I’d know by now, 6 novels in, that I can rely on Maggie O’Farrell. Instructions for a Heatwave is mostly set in London in 1976. The city is in the midst of a searing heatwave and “strange weather brings out strange behaviour”. In the case of the Riordan family, the rising temperatures mirror rising tensions. Secrets which have lain dormant for many years are about to erupt. The catalyst is the sudden, unexplained disappearance of Robert (Ronan) Riordan, retired, respectable, mild-mannered former assistant bank manager. His wife Gretta wavers between playing the martyr and sticking her head in the sand but her now-adult children know something is up. Little by little the skeletons emerge from the closet threatening to destabilise this already fragile family. “Peter came with a ready-made family, with spare children, she’d hoped she might slot into their lives almost as if they were her own”. Aoife, the youngest, has somehow managed to conceal her dyslexia from her nearest and dearest but struggles to live life to the full with this secret burden. Every family has its secrets but the Riordans have been particularly adept at keeping them hidden and letting things fester. 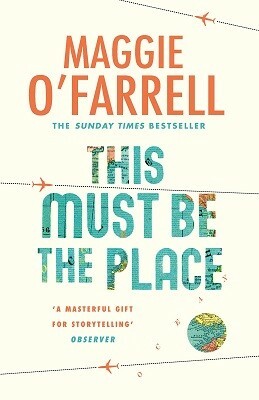 This is an extremely readable, insightful novel and O’Farrell once more shows her expertise at stripping family dynamics bare, exposing the elephant in the room. The Riordans are ordinary folk but their story is fascinating and it will engage readers from the opening pages. Most certainly a 5 star read.